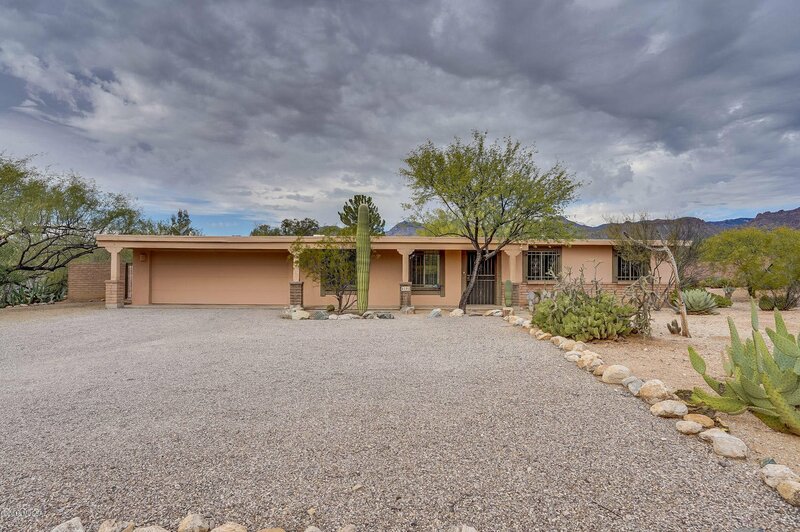 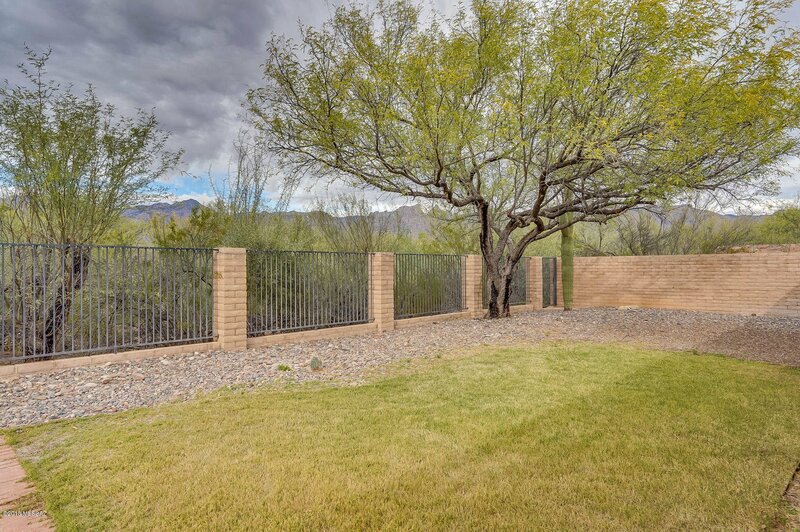 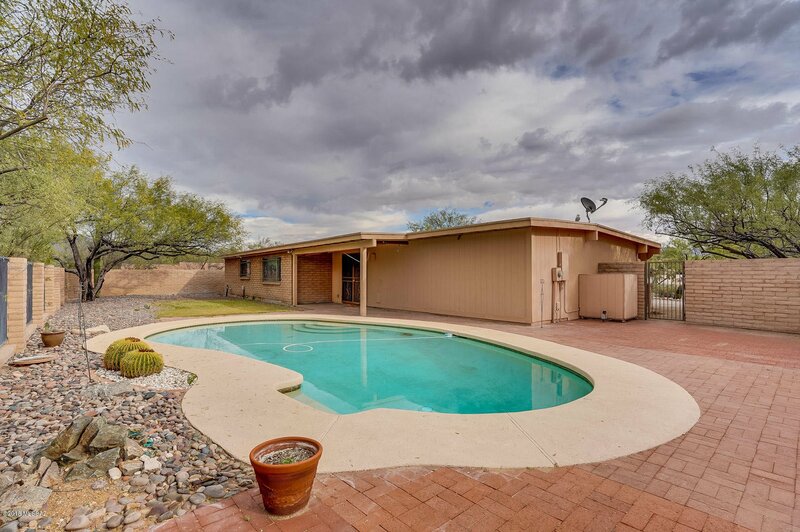 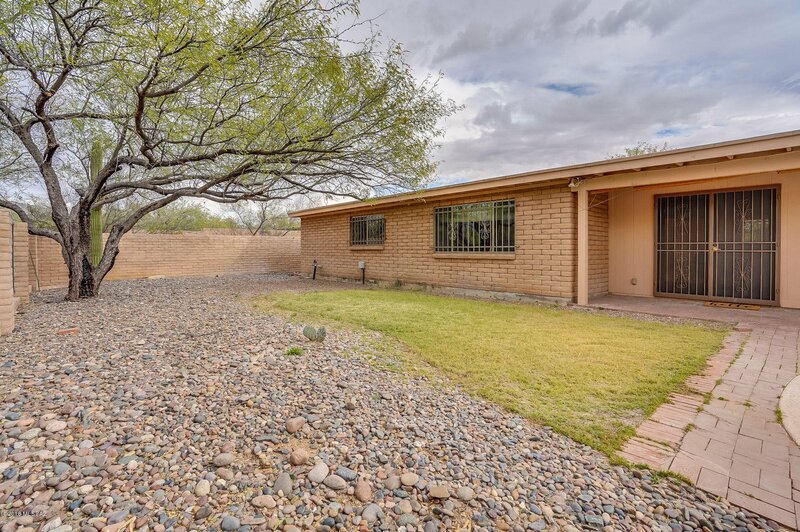 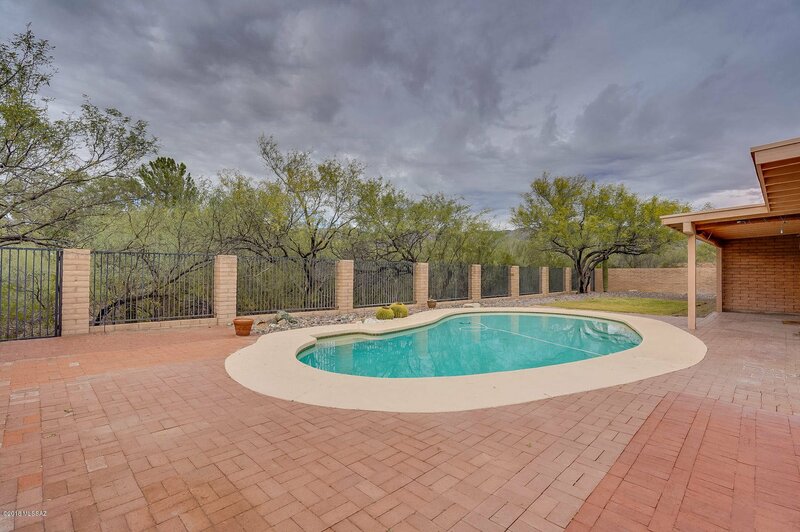 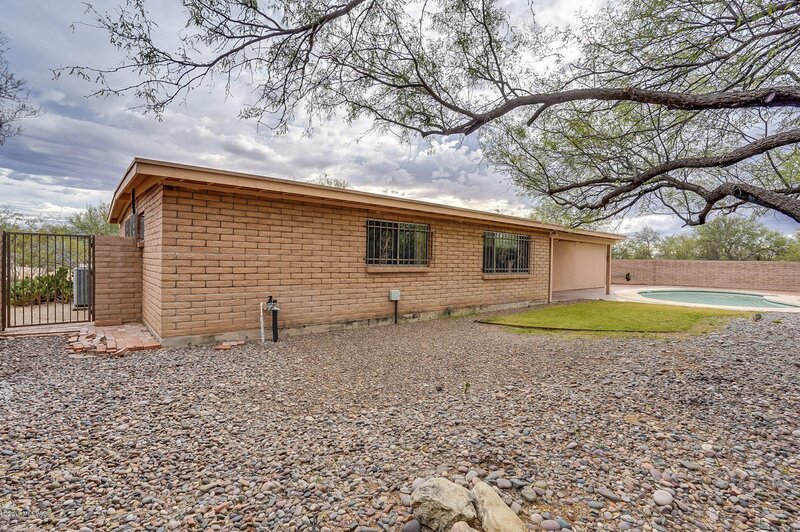 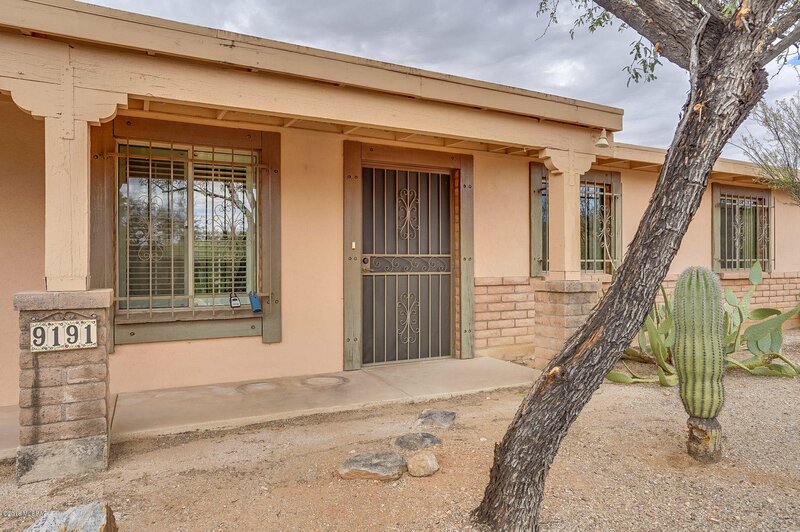 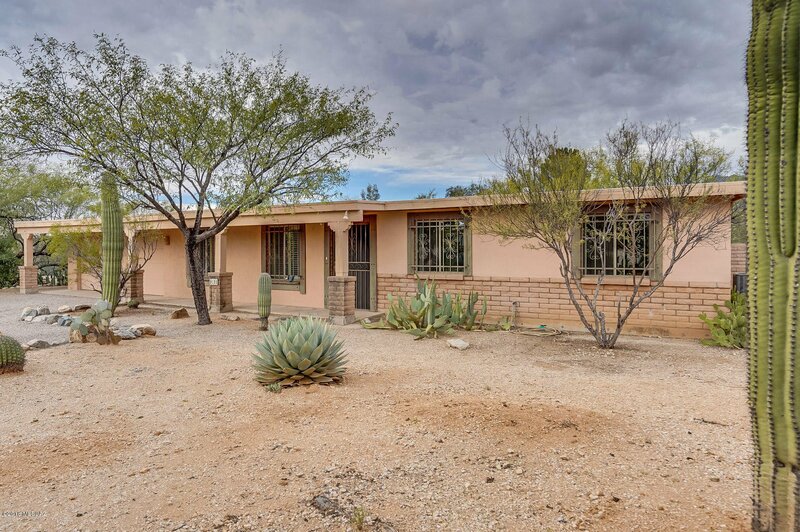 Beautiful home in Tres Lomas on over .7 acres with views of the Catalina Mountain. 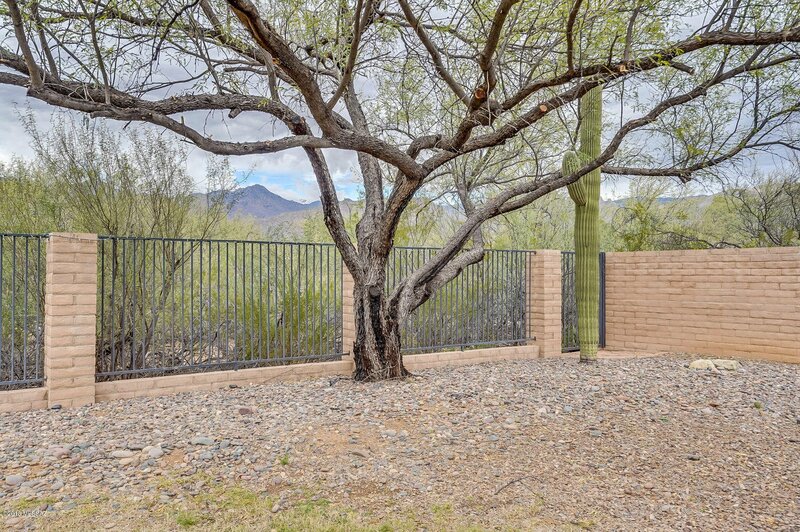 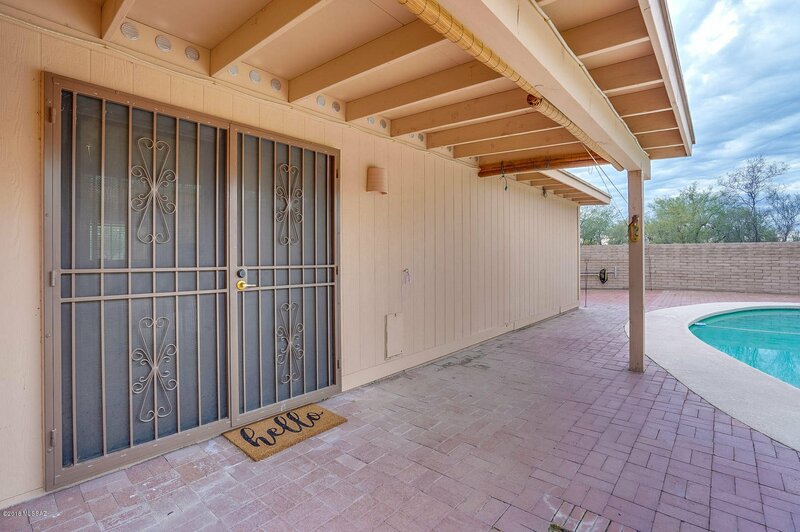 The combination of block and wrought iron fence allows you to enjoy the desert wildlife and scenery while you relax by the pool or sip your morning coffee under the covered patio. 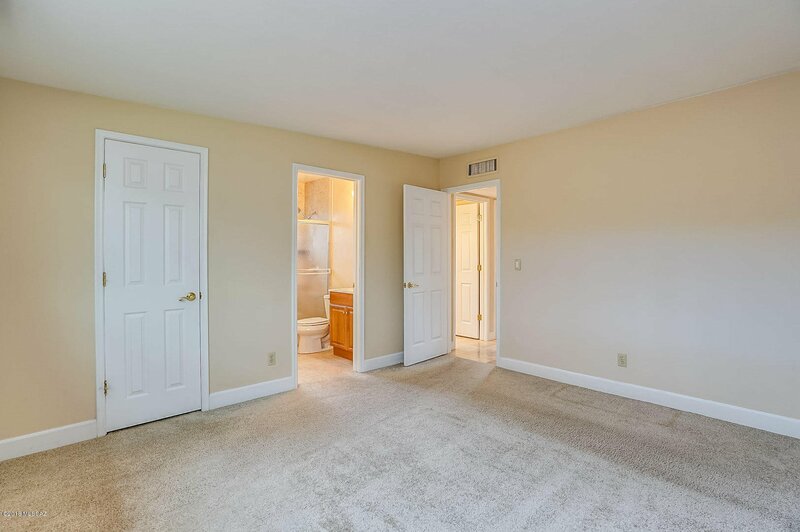 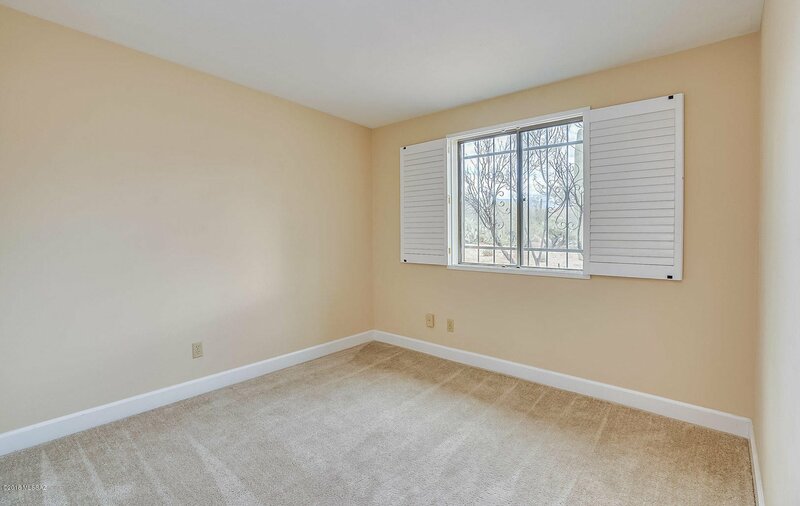 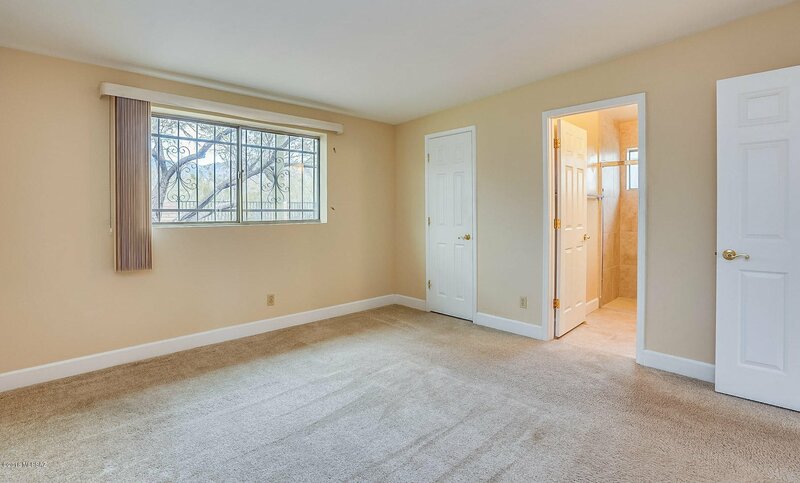 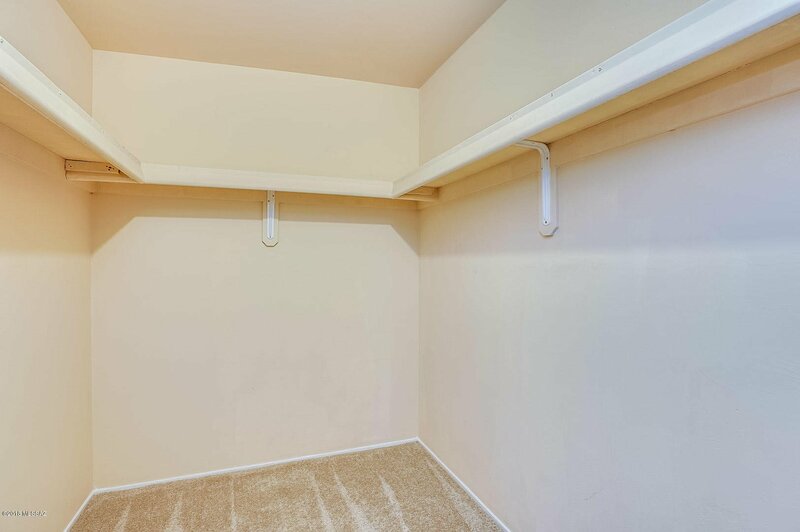 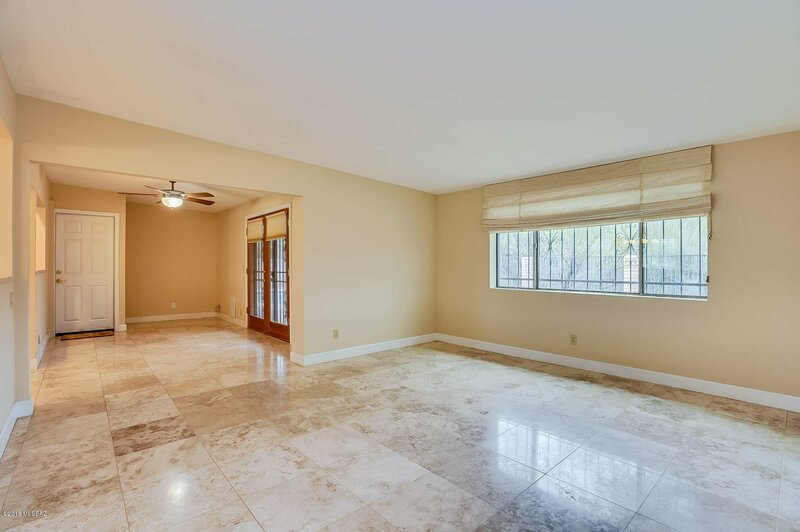 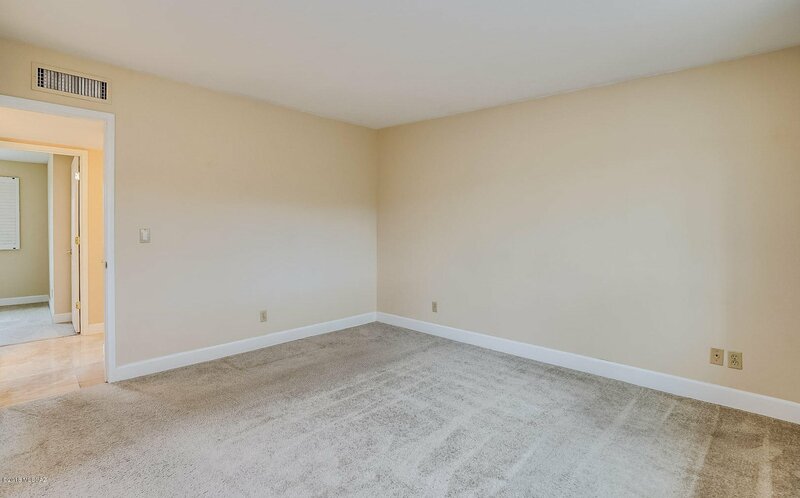 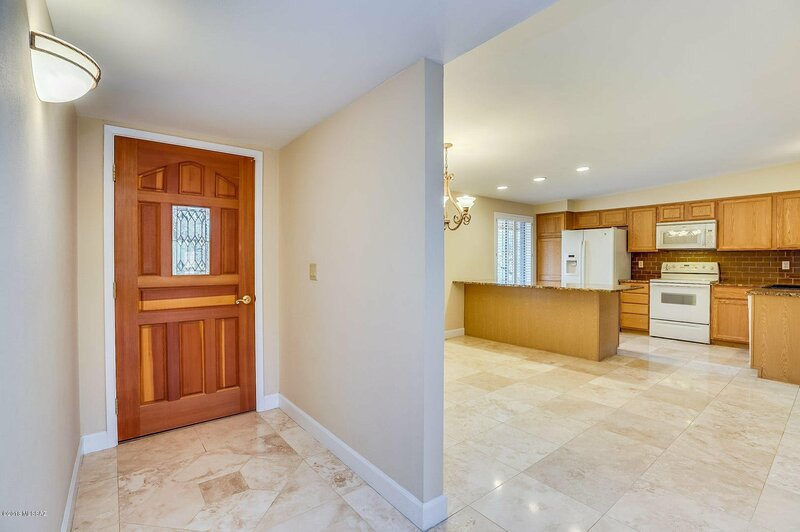 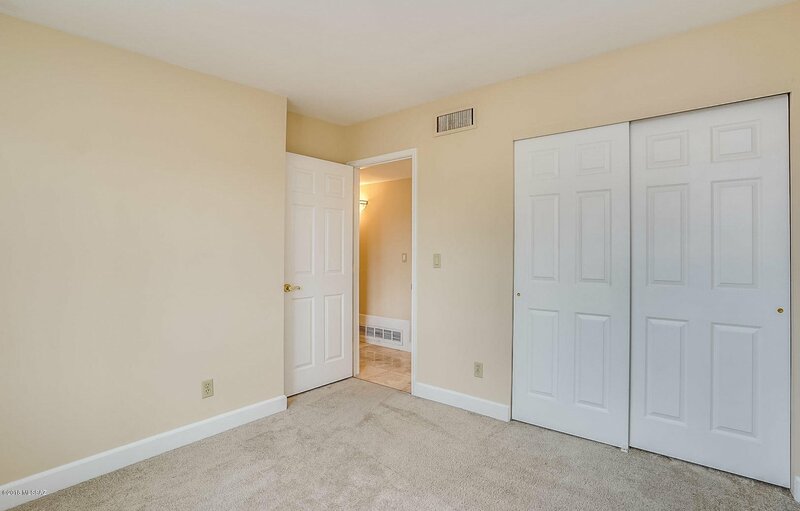 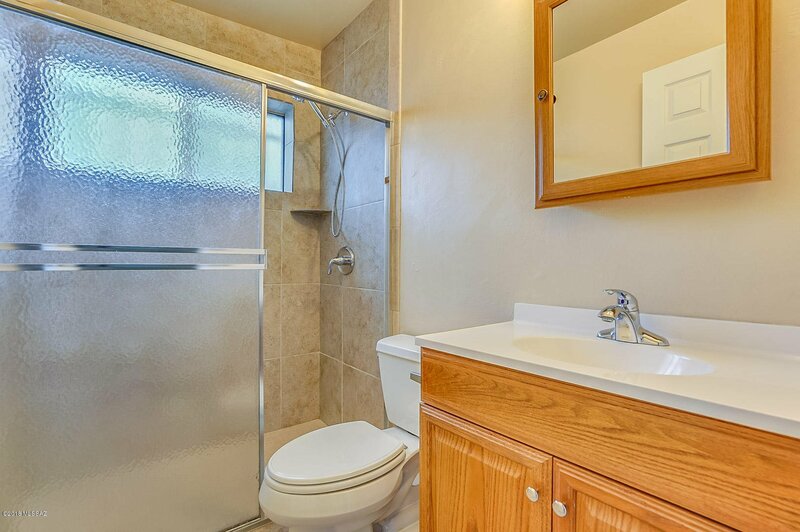 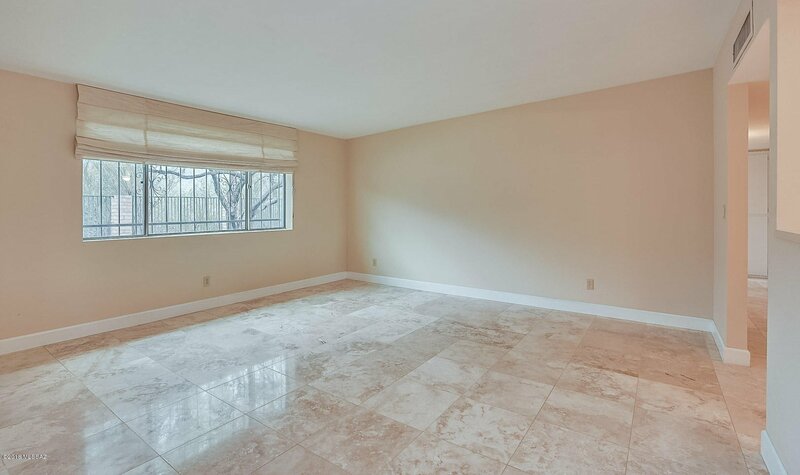 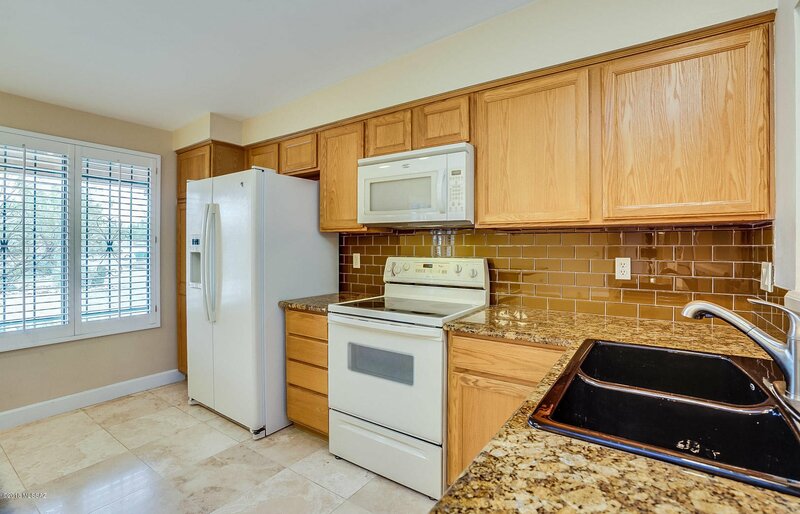 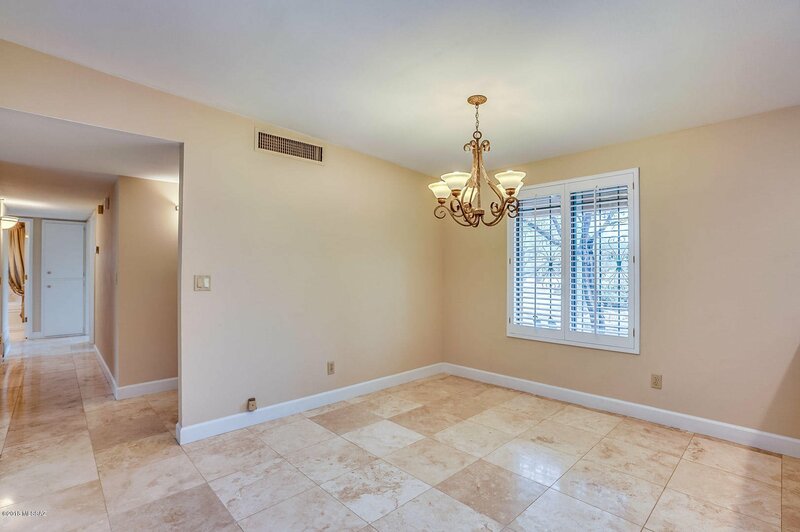 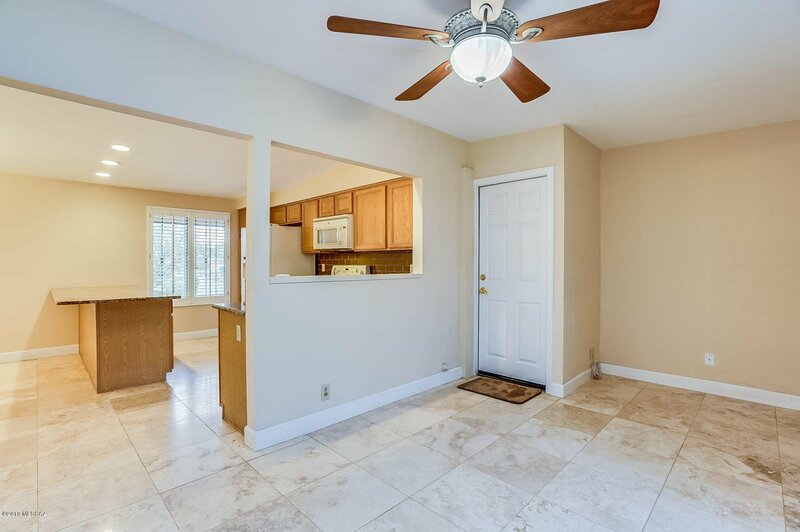 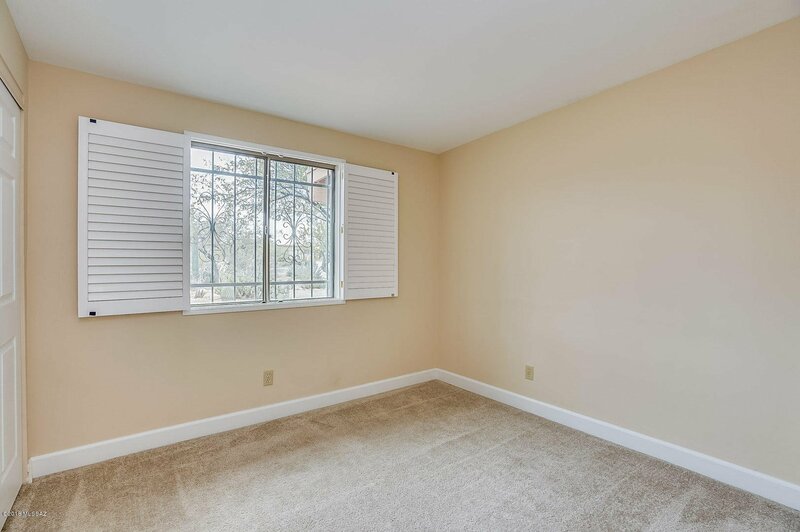 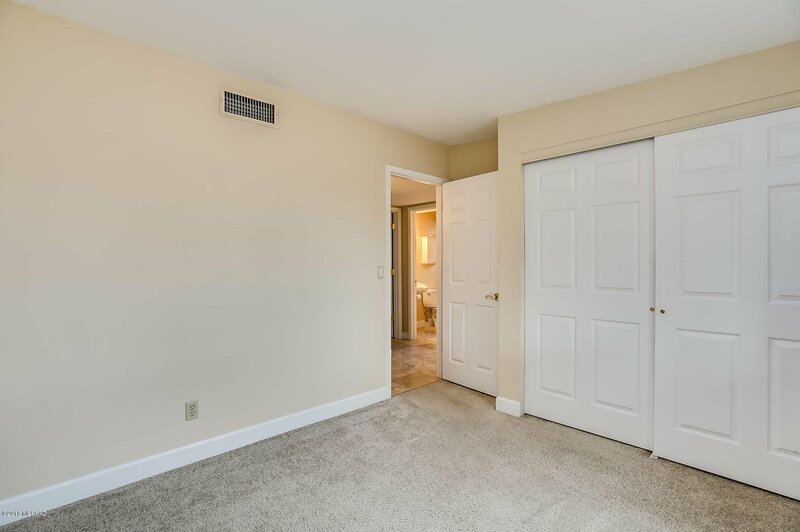 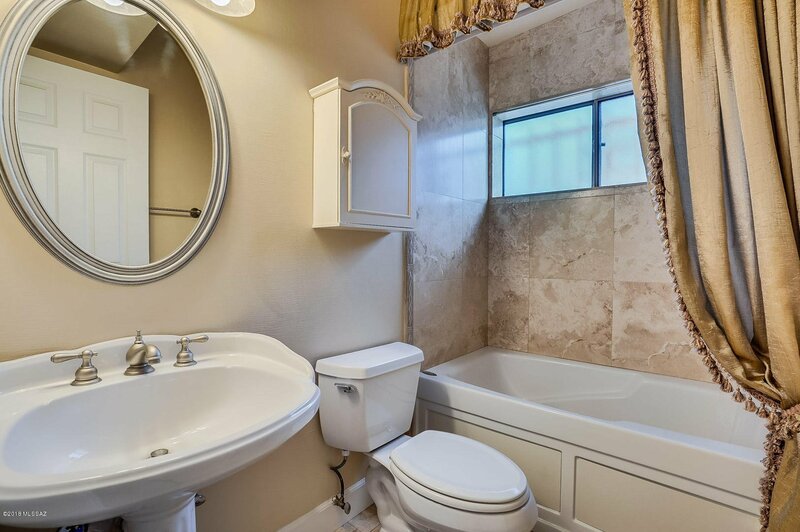 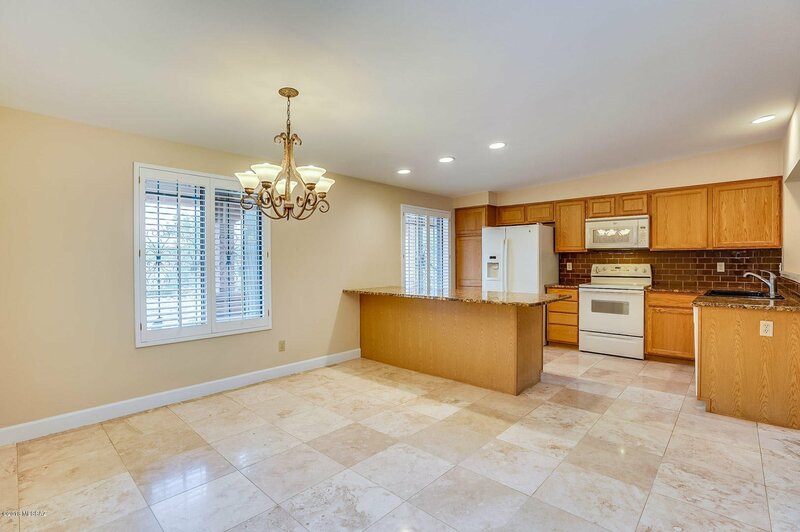 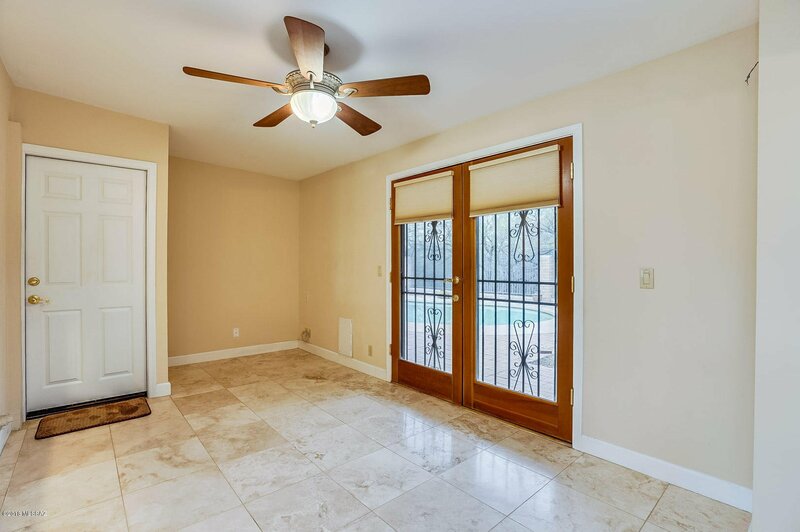 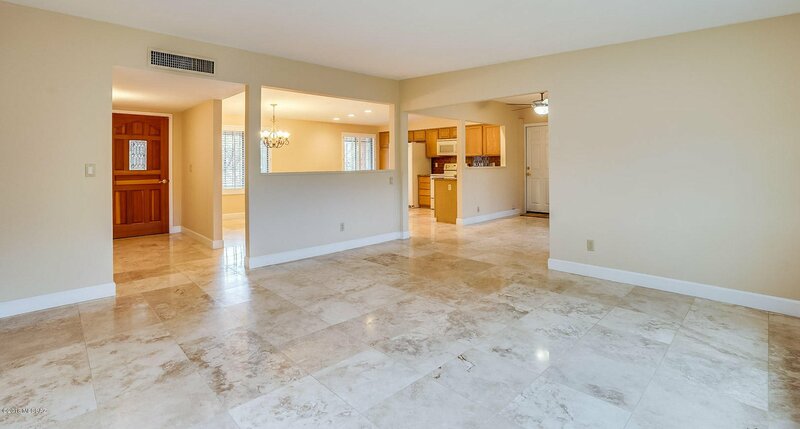 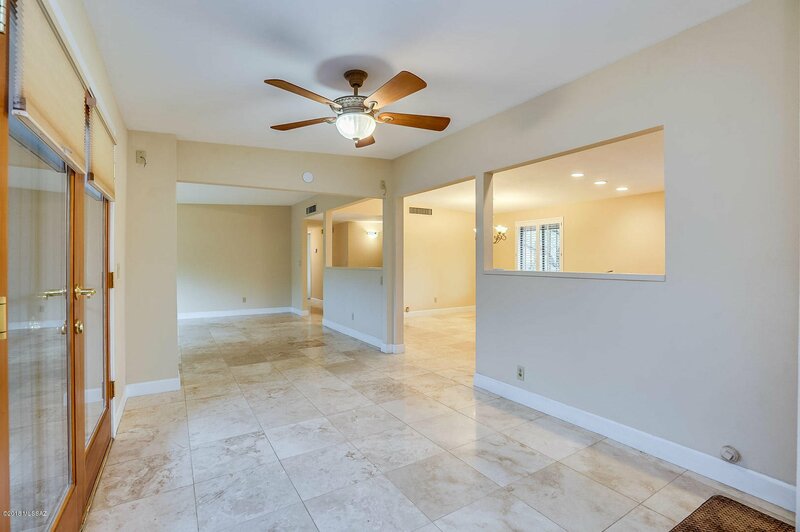 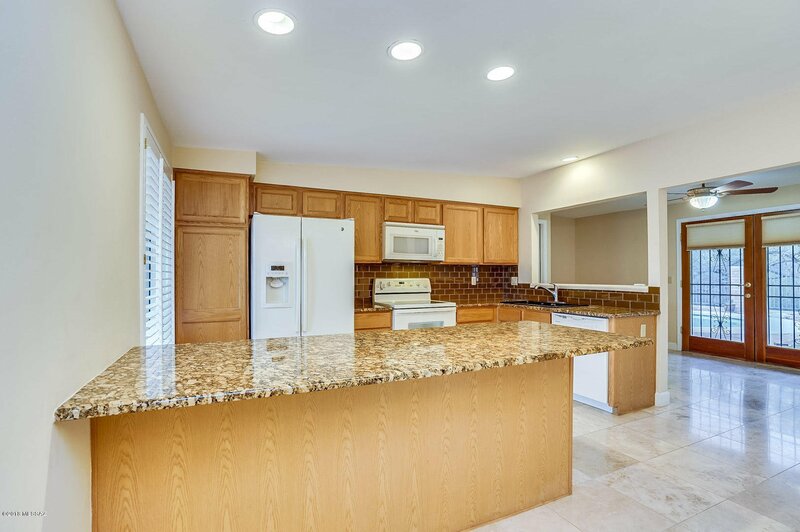 Open concept floor plan with travertine tile floors throughout, with carpet in the bedrooms. 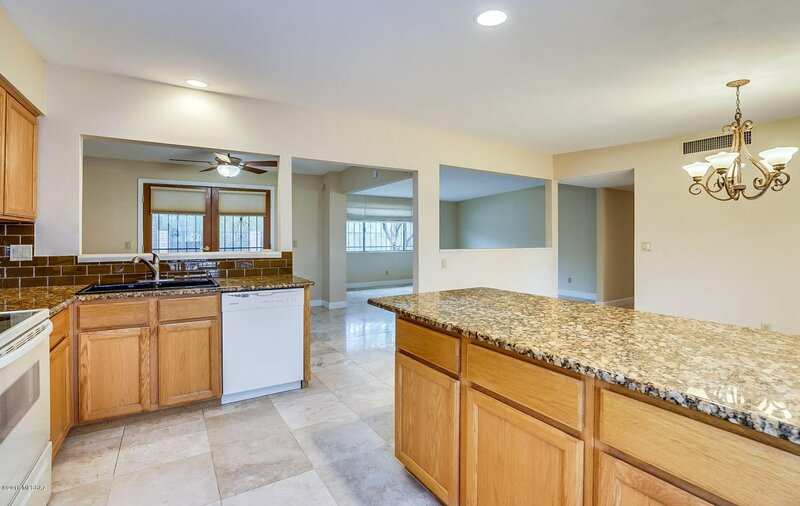 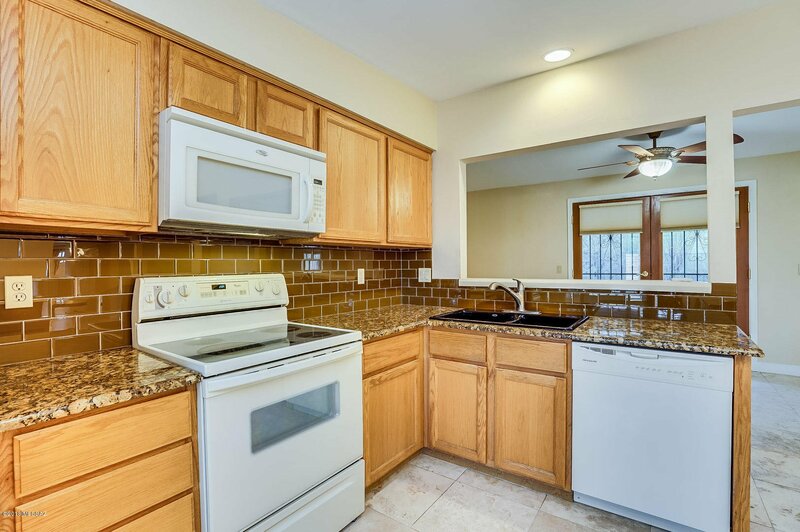 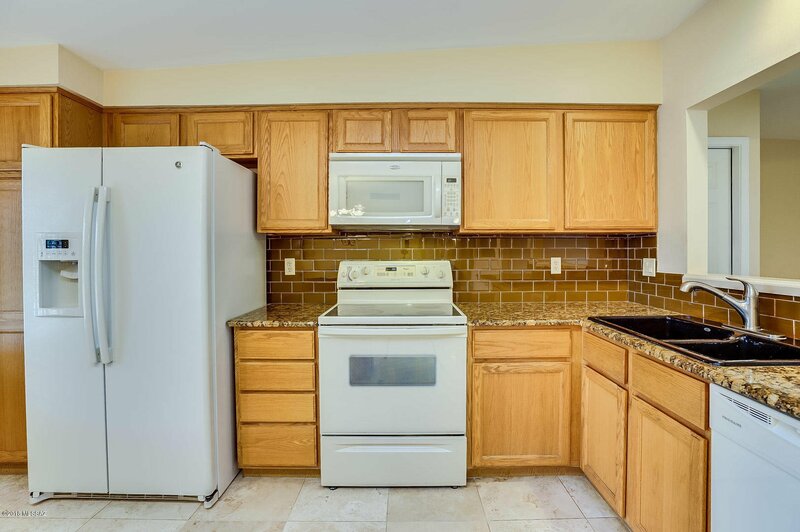 An open kitchen that has an eat-in breakfast bar and lots of counter space. 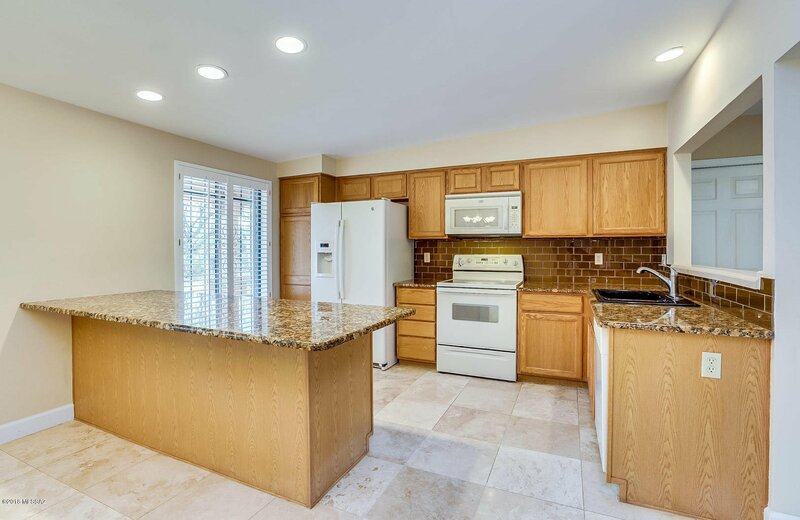 Oak kitchen cabinets and granite counter tops. 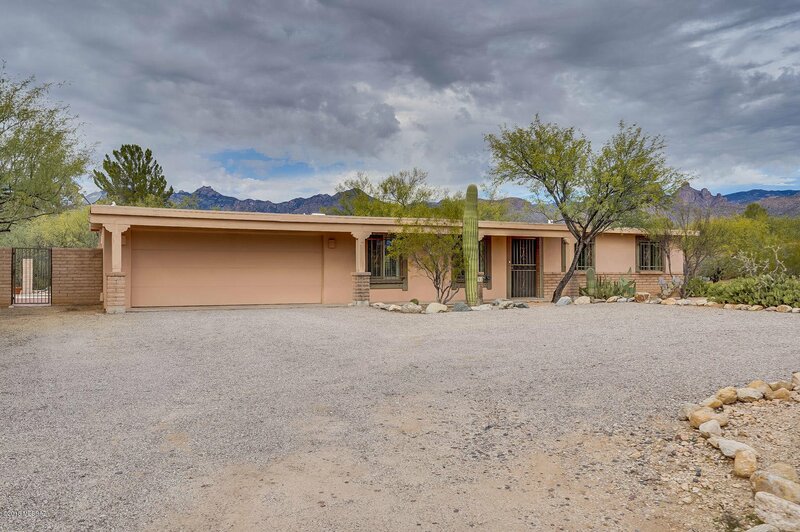 Extra features include an irrigation system, security doors(including the back french doors), security bars, NO HOA, and a large driveway with space for an RV or trailer. 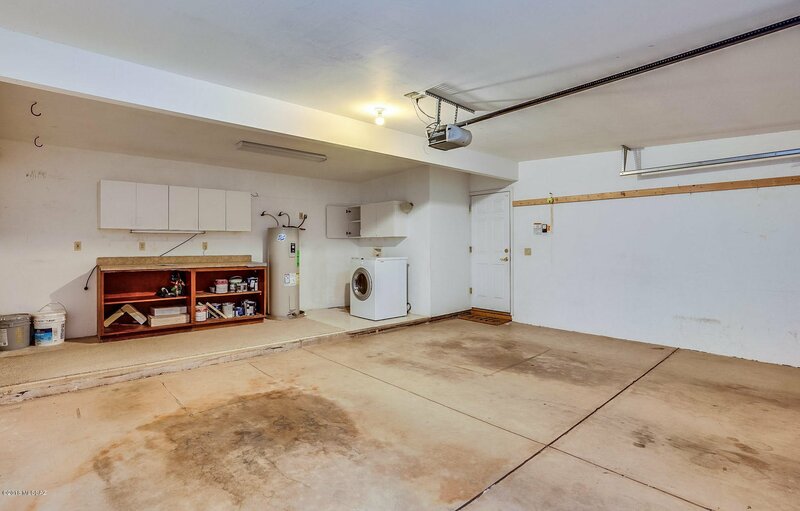 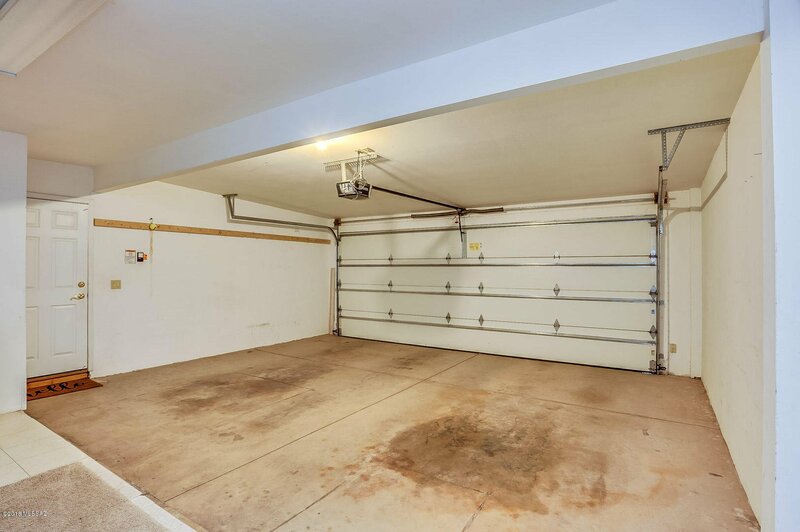 Extended two car garage with laundry. 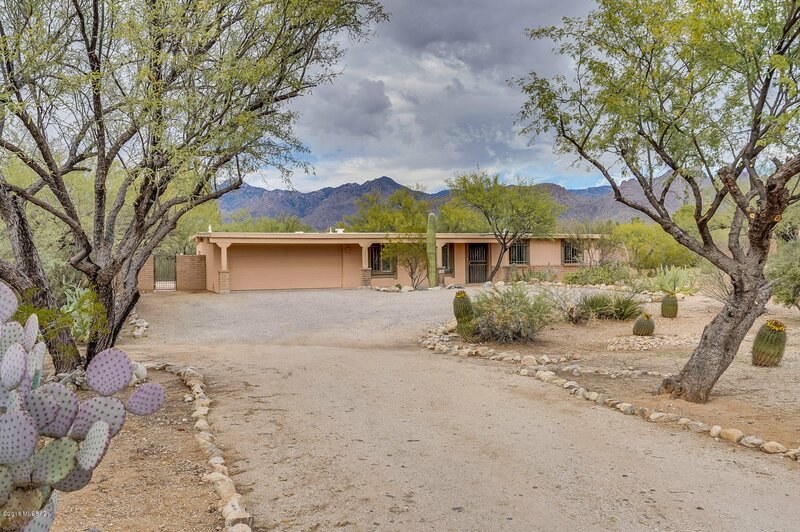 Close to Mt. 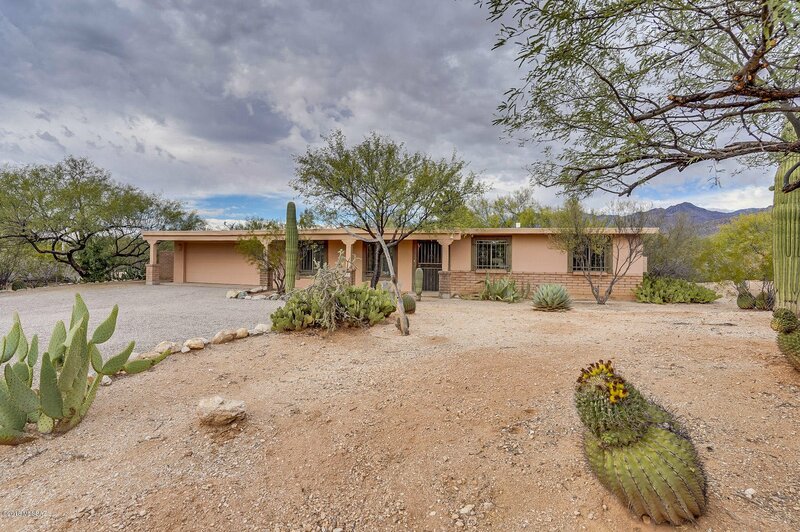 Lemmon and easy access to Houghton to get to I-10.